What comes to mind when you think of “fitness goals”? While some people may look forward to conquering fitness goals and have a plan to achieve them, others cringe at the thought. Everyone wants to be fitter, stronger and leaner. Most (if not all) of us consider fitness goals to be important enough to feature high in our list of new year resolutions. 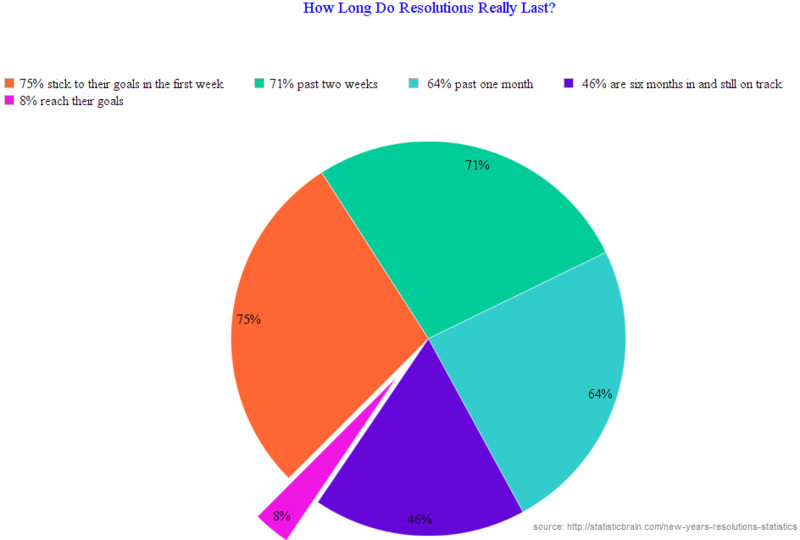 Yet it is no secret and studies repeatedly show that less than 50% of us stick to our resolutions beyond 6 months. In fact, it is estimated that less than 10% of us actually ever achieve our goals. 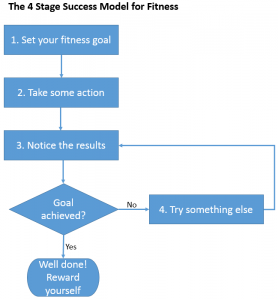 Are Fitness Goals Really Important? They have a rough idea about what they want and don’t see the point going further in the process.“I would love to go on a diet and lose 2 dress sizes”, “I want to start running and would be happy if I lost 10 kg”. They don’t believe in the power of goals. “oh, I have been there, done that. Goals have never worked for me”. They assume that it is going to cost them too much money and time. “I cant afford the gym fees its so expensive and more over I am on a very busy project and don’t have time to spare”. If these excuses sound familiar to you, achieving your fitness goals will be a challenge. There is no denying that setting fitness goals, planning to achieve them and taking action is going to take some effort. Even so, that doesn’t mean the process has to be tedious, drawn out and expensive. In this post, I hope to show just how simple it can be to conquer fitness goals. More specifically, I’m going to discuss 4 powerful techniques that will give you the laser focus you need to reach your fitness goals. This is probably the most important step in the entire goal setting process. I cannot overstate its importance as the foundation for goal achievement. Get this step right and the rest of the process falls in place naturally and it is very likely that you will reach your goal. Many of us miss this step and inadvertently are set up for disappointment. When you consciously identify your highest motivation you have with you the master key to conquering your fitness goals. Reading well-known books on the subject. e.g. Think and Grow Rich by Napoleon Hill. Each iteration of the question ‘what’s important about…?’, reveal a higher motivation level. Generally, by the third iteration, the answer provides the highest motivation. It’s best explained with examples. Resolution/goal: I want to lose weight. Question 1: What’s important to you about losing weight? Answer: Losing the excess weight will make me look better. Question 2: What’s important to you about looking better. Answer: I want to feel good about myself. Question 3: Ultimately what will feeling good about yourself do for you? Answer: Ultimately, it will make me happy. I will be healthy, travel in my retirement and live a long life. Answer: Losing the excess weight will help me avoid diseases like diabetes. Question 2: What’s important to you about avoiding diseases like diabetes? Answer: I want to protect my health. Question 3: Ultimately what will protecting your health do for you? Answer: I don’t want to die young. I want to live long enough to see my grandchildren. Did you notice how deep and powerful the highest motivation is for each person? When the highest motivation is consciously identified (as in the examples above) it gets intrinsically associated with the fitness goal. This has more impact than all the willpower and dedication that most of us can ever muster. Did you also notice in the examples above while the goal is the same (lose weight) in both cases, the highest motivation is completely different? That is how it is for all of us. We are different and unique in every way and we act on different motivations. Whatever approach you choose, take the time to consciously identify your highest motivation for your fitness goals. Most of us are probably unaware of the fact that as human beings we act as goal achieving systems. Goal achievement is in our DNA! Our motive or goals underlie all our behaviour. Sometimes the motive or goal may not be a conscious choice, it may be unconscious. In such cases, we act without thinking about where our actions will take us. Even when we don’t realise it, there is still an underlying motive or goal that is causing us to take action towards its accomplishment. 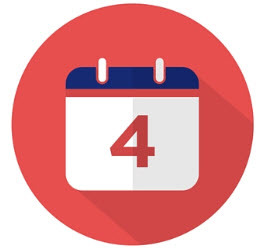 The goal achievement process can be distilled down to a 4-stage model. Stage 4: Change your actions until you get the desired result. All our behaviours and achievements are based on this model. When we consciously manage the achievement of our goals through this process, we are far more likely to succeed. Now that you understand the need to identify the highest motivation and the process of goal achievement, you are ready to set SMART fitness goals. “Get healthy” and “I want to be fit” are far too global. There are many ways to get healthy and get fit. For e.g. you could lose weight, wake up early, sleep on time, eat healthy, etc. Instead be specific. For example, If you are overweight, “I want to lose weight” would be a specific goal. Just wanting to lose weight doesn’t quite do the trick, though. You need a target number so you can measure progress. For example, “I want to lose 5% of my body weight” meets the requirement. It is important that the goal you set stretches you. Your goal must take you out of your comfort zone and at the same time not be too high that it stresses you. 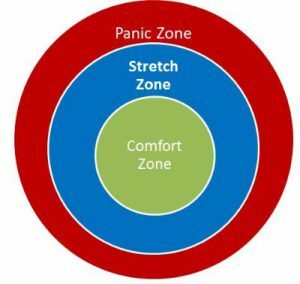 For example, “I want to lose 15 kg in one month” may be possible to do technically, but would push me beyond the stretch zone into the panic zone. The goal has to be congruent, consistent and relevant with my highest motivation or personal vision (discussed previously). The goal should not be somebody else’s goals imposed on you. For example, look at the goal “I want to lose 5% of my body weight” through the lens of relevance. Is this a good time in your life to work on this goal? Include an end point. Having a deadline is a great motivator for taking action. For example, “I want to lose 5% of my body weight in the next 3 months” would work for me. There are techniques that will make your SMART goals even more effective. The techniques I describe below have worked for me really well. When diligently applied to your goals together with the other techniques discussed, they will virtually guarantee your success. When asked about their goals, many people state their goals by saying what they don’t want rather than what they do want. Saying “I don’t want to be fat” causes an internal representation in our minds of being fat. 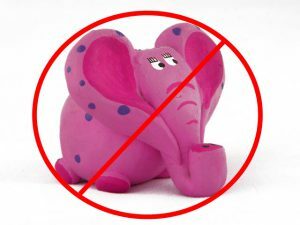 “Don’t think of a pink elephant with blue spots” causes us to visualise it first! Stating a goal in negative terms sets in motion internal representations in the brain that manifest the wrong outcome. Always state the outcome in terms of what you do want. Let your mind know Who, What, When, Where, Why and How you want the outcome. This makes use of the most powerful tool in our arsenal of natural resources – our imagination. If goals are to be achieved, they cannot be abstract and exist in isolation in our minds. 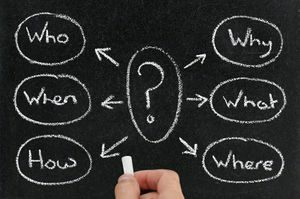 Applying the above questions (using imagination) to your goal will create an internal reality in the mind which will provide context to your fitness goal. 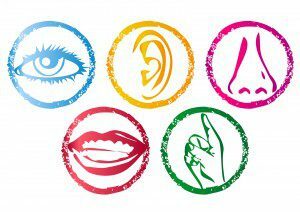 As humans, we perceive the world through our 5 senses – sight, sound, touch, smell and taste. Interestingly, this is true for both the physical world we experience and the internal world within us. Use sensory language from the five senses to express your goals. This adds internal richness and clarity making the goal ‘real’ in your mind. You now have an internal blueprint for success. 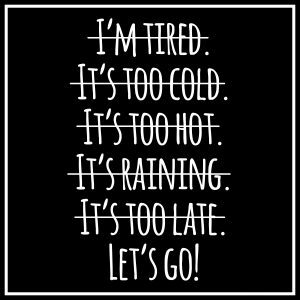 When you have finalised your fitness goals, take complete responsibility for it. It is your goal. This means you hold yourself accountable for success or failure in achieving the goal. This gives you the personal power and control to take action towards its achievement. Taking action now based on your goals builds positive momentum and takes you in the direction you want. Positive momentum is an ally in your quest to conquer your fitness goals. Make it work for you and not against you. We don’t have to to be a statistic when it comes to achieving our fitness goals. Consciously identifying your ultimate motivation for fitness, leveraging the process of goal achievement, setting SMART goals and turbocharging them with the techniques discussed set up formidable forces that work for you and not against you. You now have in your hands very powerful, proven tools and techniques to conquer your fitness goals. What other tools/techniques would you add to this list? Share your ideas in the comment section below. Very very informative article. What do you think about the fitbit? Helpful? Not helpful? Would you recommend someone to buy? Thanks for your comment Ryan. Glad you found the article informative. I am a fan of fitbit. With cool technology and a product range to suit everyone, I definitely recommend fitbit. I will be reviewing the product soon, and will post a link here when its ready.Thanks for asking. 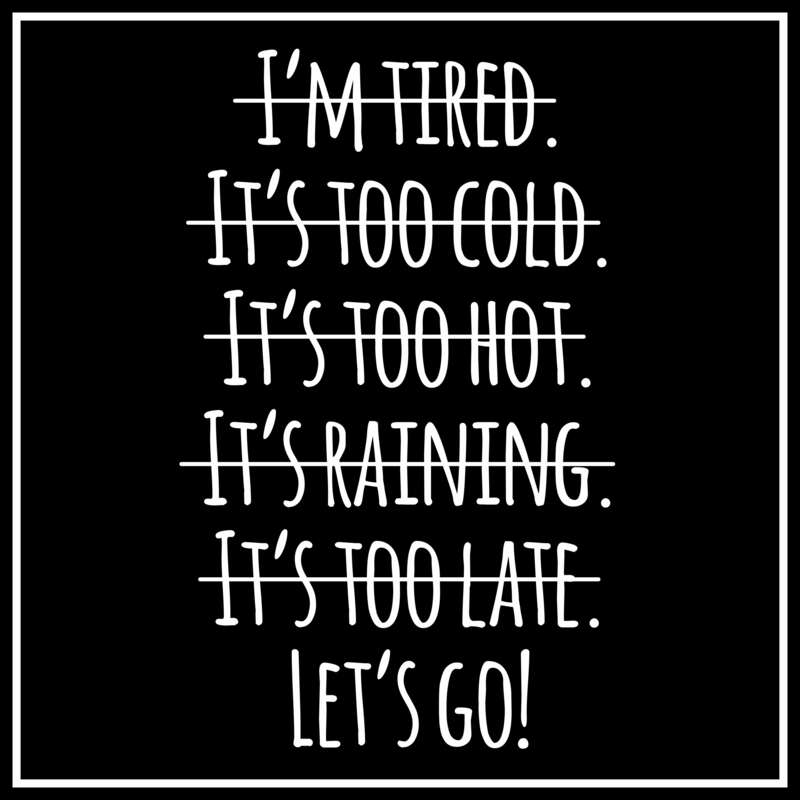 It is so easy to make an excuse when trying to form new habits. I especially like how you encourage people to write down why they want to achieve these goals. This seems like a great first step. I will have to revisit my goals and write these reasons down, thanks! Thanks for visiting and leaving a comment Jeremy. Glad you liked the article. I agree, getting to the WHY is the important first step towards achieving your fitness goals. Once the highest motivation is identified, building positive momentum to achieve your fitness goals is relatively easier. Glad you have decided to revisit your goals and identify the WHYs. Do let me know how you get on. I totally agree. Setting goals and making a plan how to achieve them may take some time, but it is definitely worth to do it. Nice article, thank you for sharing! Thanks for the comment David. I agree, the time initially spent on planning is time well spent if the process of success is followed as described in the article. Great post. I just recently started doing DDP yoga and have loved every second of it. Even though it is tough. I feel great afterwards. Goals matter. Fitness goals are great because as you work you slowly begin to see the results. Thanks bro!! Thanks Shawn. Great to hear that you have taken up DDP yoga and together with a fitness goal, you will make steady progress and achieve the results you are aiming for. Good luck. This is really useful advice. Setting realistic goals and sticking to them is important in all walks of life. Thanks for your comment David and glad you found the article useful. While the article focused specifically on fitness goals, I agree that the concepts discussed are universal and applies to achieving goals in all walks of life. WOW! Great post! I’m all about working out and I love it.. It relieves stress among other things. I love the charts you have too. I have hypothyroidism, I was born without the thyroid gland. That little gland runs a lot of functions and I’m on Synthroid which replaces what the thyroid does. It is very important for me to stay fit. I don’t have a gym membership, however, I use a kinetic indoor bike trainer and put my road bike to good use in the winter months. Great article and you sure put lots of good work into it too! Thanks for your comment Krissy and glad you liked the article. Great to hear that staying fit is important to you and you love working out. A kinetic indoor bike trainer is a brilliant way to keep fit during the winter months and shows how motivated you are. A gym membership would be good but certainly isn’t mandatory to achieve your fitness goals. Very inspiring. Wow the highest motivation was great stuff Sandeep. I’ve had trouble sometimes to find my goals but I just tried it and it worked directly for me. I easily saw what will motivate me. I will try this on a friend as well and let you know how it worked out. When it comes to working out I have an tendency to give up to easily. I will try these goal setting ways or maybe hire a personal trainer/nutrient. What do you think about that? Thanks for your comment Marcus. Great to hear that you worked through the exercise and found your highest motivation. It is, by far, the most powerful way I know of, to conquer your fitness goals and not give up halfway. Definitely worth trying it with a friend. It works with anyone and the only reason I said friend in the article is because you will require to have established trust and rapport first before asking the ‘what’s important about…’ questions. With a friend, you have it in place already. Hiring a personal trainer is definitely a good option if you are serious about your fitness goals. A good personal trainer will take time in the beginning to understand your highest motivation. You may worry about the costs involved and decide to go it on your own. Either way, the most important thing is that you are investing in your fitness and deserve a pat in the back for taking the initiative. Good luck. Great article! Very informative, mostly I’d like to you post is you used a chart. More easy to understand in terms of visual your article. Everything you want to achieve in life must you have set a goal. All your advise or tips are very useful and helpful to someone want to be achieved their goal. Thanks for sharing! Thanks Eric. I do add reasonable visual content so it makes sense to the reader. Happy to see that you found the advice on conquering fitness goals useful. Hi Sandeep. Really enjoyed reading this article. I think goal setting is a really important step for anything you want to achieve. I’m quite familiar with SMART goals, and I think it’s a very good tool to use, not just with fitness, but anything to do with a goal you want to achieve. I also like the idea of making the fitness goals specific. Lately, I’ve been thinking about actively trying to lose weight and get fit, and your article has definitely given me some encouragement to set some fitness goals for myself. I think I’ll be referring to this article again soon. Thank you for taking the time to share your advice. Thank you for the comment. The more specificity you add to your fitness goals, it sets the process of achievement in motion and the more likely you will achieve them. Glad you found the article useful and encouraging. I agree with everything you pointed out regarding goals. I was once tole that a “Goal without a plan, is just a dream.” So I don’t just go to the gym and wing it. I have a set detailed schedule, a goal weight and I keep an eye on my plan every time i workout. Its the only way to know I am progressing. Thanks for the facts. Thanks for your comment Chris. With clearly defined fitness goals and the plans to achieve them, you are on the right track to achieve your fitness goals. Good luck. 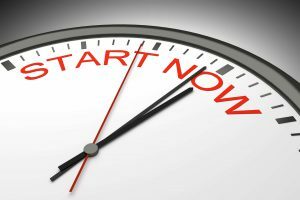 This is a well put together article on fitness goal setting which I enjoyed very much. Each step in setting the goals is well explained and you are right it is so important to clarify and focus in your mind the specific target you wish to achieve and then take the necessary steps to achieve your desired result. Thanks James, glad you enjoyed the article and found it useful. Really great article, I really believe in goal setting….it’s like if you don’t know where you are going then that is where you will end up. You have some really good exercises for helping to search for real goals….and I like what you say about involving all your senses, it’s so true, thje more senses we use the more ingrained our goals and dreams get…thanks for post. Goal setting, when done correctly, is the “difference that makes the difference”. It activates the RAS (Reticular Activating System) – a marble sized piece of grey matter in the brain – which subconsciously lets in stimuli from the external environment that’s relevant to us (i.e. our goals) and filters out everything else. In order to “embed” the goal deep into our psyche and make the RAS effective, it’s best to consciously define your goals using as many of the 5 senses as possible. Thanks for your comment Cambell.